Despite the massive efforts that go into writing a book, errors inevitably creep in - some more egregious than others. Thanks to those who have emailed me about these errors (Rick Marshall, Tim Wallington). Much appreciated. When the books get reprinted these errors will be corrected. page 19: The rate at which solar flux falls onto a surface per unit area and per unit time, irradiance, reduces as an inverse square law so that for every 2 km from the Sun, solar irradiance drops off by a quarter so that for every doubling of distance from the Sun, solar irradiance drops off by a quarter. 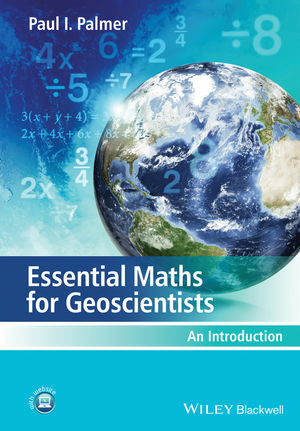 page 51: Earth's rotation is slowing down due to the pull of the Moon, but only by about 1.7 millionth of a second milliseconds every century. page 58: [clarification] "Water has a higher heat capacity than land due to the energy required to break the hydrogen bonds in between water molecules." I should have gone into more detail about the charge structure of a water molecule. Two water molecules, for example, are held together by a weak hydrogen bond. These bonds are continually broken and re-formed, allowing the molecules to slide easily over each other. It was these inter-molecule bonds I was describing in the text. 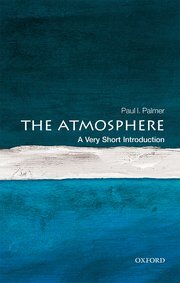 Page 75: [clarification] Using computer simulations of atmospheric chemistry we expect that the largest of the stratospheric ozone holes will become a thing of the past by 2040. Full recovery of stratospheric ozone is expected by the end of the century. Page 86: The units for mass concentration should be micrograms per metre cubed not per centimetre cubed. Page 11, Table 2.1: the numbers for a hundredth and thousandth should be 0.01 and 0.001, respectively. Developed by Sam Illingworth and Paul Wake (Manchester Metropolitan University). Part-funded by GAUGE. The NERC GAUGE funded a public outreach activity that uses a small CO2 sensor to collect measurements in Edinburgh city centre and projects the number on the top floor of Summerhall's TechCube. The live data (averaged over an hour) are tweeted.